There are no beaches along Mayaguez worth traveling to. 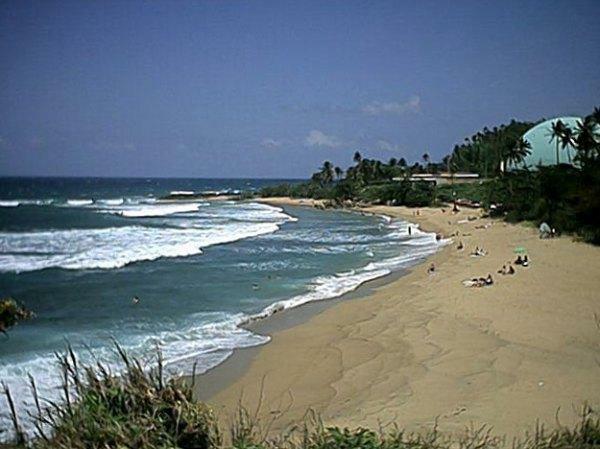 But up the coast, on Puerto Rico’s most western point, is Punta Higuero and the best surfing in Puerto Rico at Rincón. This is no new find – well, for us… but longboarders put Rincon on the map back in the 60’s. And surfer dudes still live here. Rincón is perfect. The area juts out into the sea at a place where both the Atlantic Ocean and the Caribbean Sea come together. This force along with some awesome breaks in the area make for some great surfing in Puerto Rico. Little Malibu break, just off from the Domes balneario, named after the decommissioned nuclear “dome” structures close by, is well known. From Little Malibu all the way up to River Mouth, the surf can be rewarding. The beach here is soft sand and near River Mouth, because of the tidal pool formed near the ocean, you can find some nice “sea glass“. 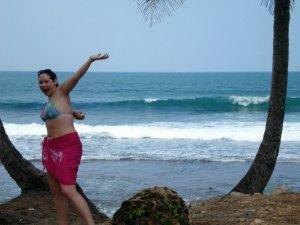 But like most surfing spots in the world, the beach along the Rincon area is broken by ironshore ledges. That doesn’t spoil the beach at all and you’ll find plenty of areas to have fun. If you’re not on a surf board, beware: currents here are treacherous. So far in 2007, two people have died off the coast here fighting rip currents. So make sure you are an experienced swimmer. If seas are calm when you make it here, they tell us there is some good snorkeling up around the Tres Palmas Marine Preserve (Caribbean side), beginning at Little Malibu down to Steps (breaker). For surfers, when the swells are big enough, waves as high as 25 feet are possible. Watch the weather and surf reports.